Woodinville, WA: Woodinville is located in King County, Washington. The population is approximately 10,938. 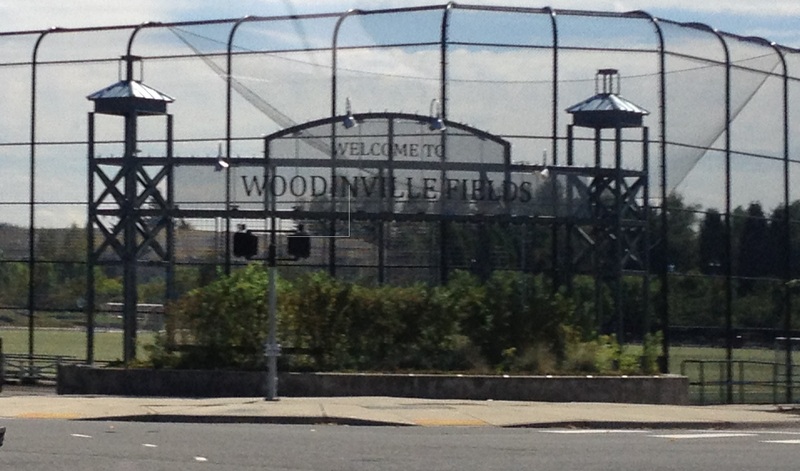 Woodinville is part of the Seattle metropolitan area. There is a much larger population in Woodinville when including the adjacent areas of King (Cottage Lake) and Snohomish (Maltby) counties. Woodinville has waterfront parks on the Sammamish River, sweeping winery and brewery grounds, and densely wooded residential areas. Woodinville’s economy is a mix of light industrial, retail, and tourism. Woodinville is commonly known for its local wineries, which showcase wines from grapes grown in Eastern Washington including Chateau Ste. Michelle, which is well-known for their popular summer concert series, Columbia Winery and dozens of other smaller ones. The Woodinville Tourist District is also home to the Redhook Ale Brewery and several fine restaurants including The Herbfarm “destination” restaurant. Until July 2007, the north end of the Spirit of Washington Dinner Train’s route was at the Columbia Winery. Talks are currently underway to restore service, but running from Woodinville north to Snohomish, instead of south to Renton. Eat a big breakfast before heading out on the 6 hour tour. We walked to Pike Place first and had a great breakfast at Bacco Bistro prior to taking off to Woodinville. 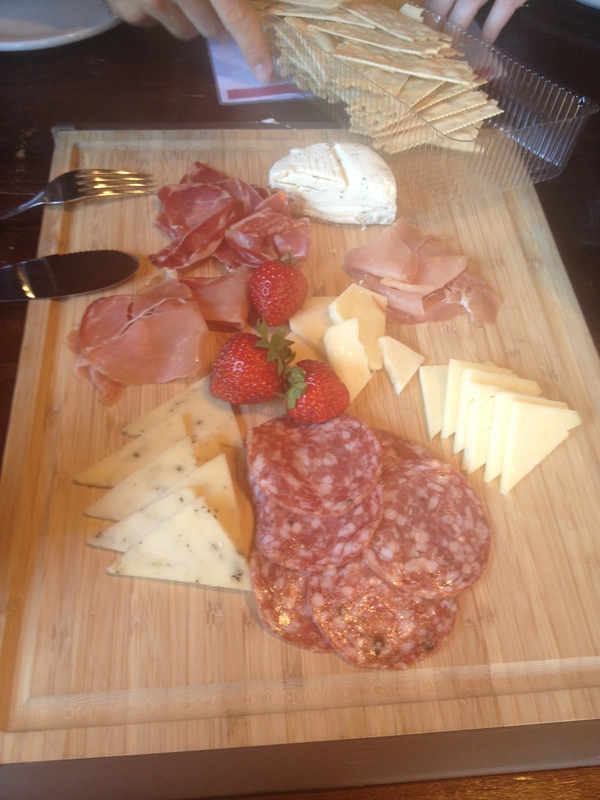 The tour company will provide a meat and cheese platter at one of the wineries. However, I highly recommend bringing snacks so that you don’t get too woosey. Ha! We packed our beef jerky and granola bars (very posh) to snack during the ride. Bring enough to share!!! The tour take anywhere from 2-10 people. Our tour had a group of 8 from all over the U.S. It was fun chatting it up with a group, laughing along the way. 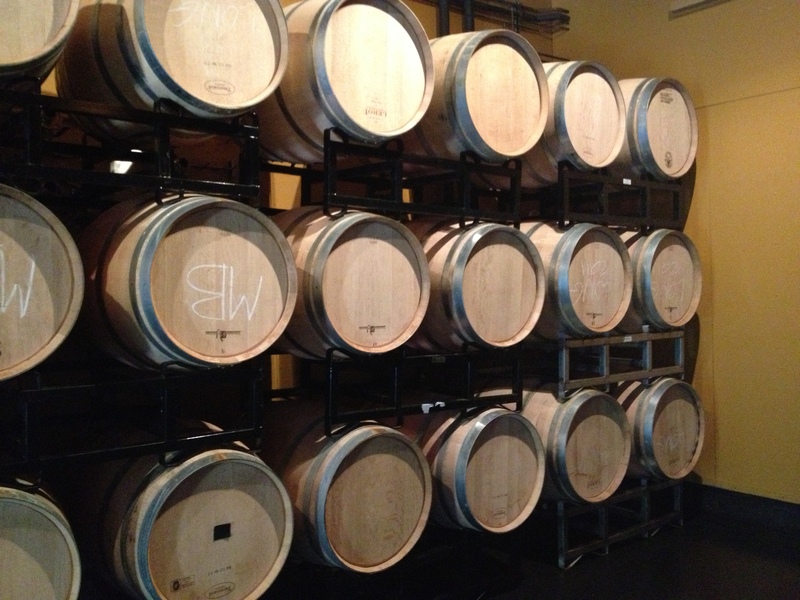 Just outside Seattle lies Woodinville wine country, boasting nearly 100 wineries and tasting rooms. On this half-day quest, visit three award-winning wineries that deliver on elegance but leave the pretense at the door. 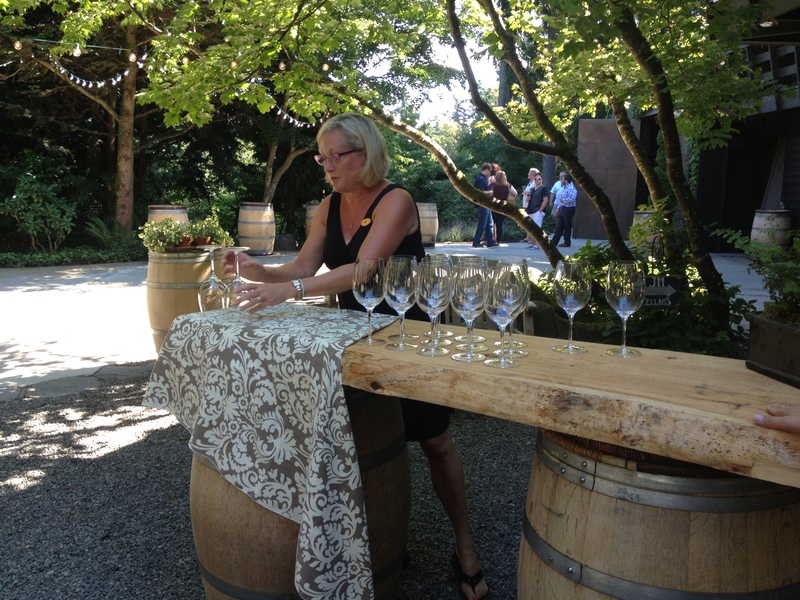 Meet winemakers, tour wineries and taste fine wine, while our expert guides give a lesson in viticulture. You’ll clean your palate with local meats and cheeses, and shuttle this all-inclusive experience in one of our plush bio-diesel Mercedes vans. 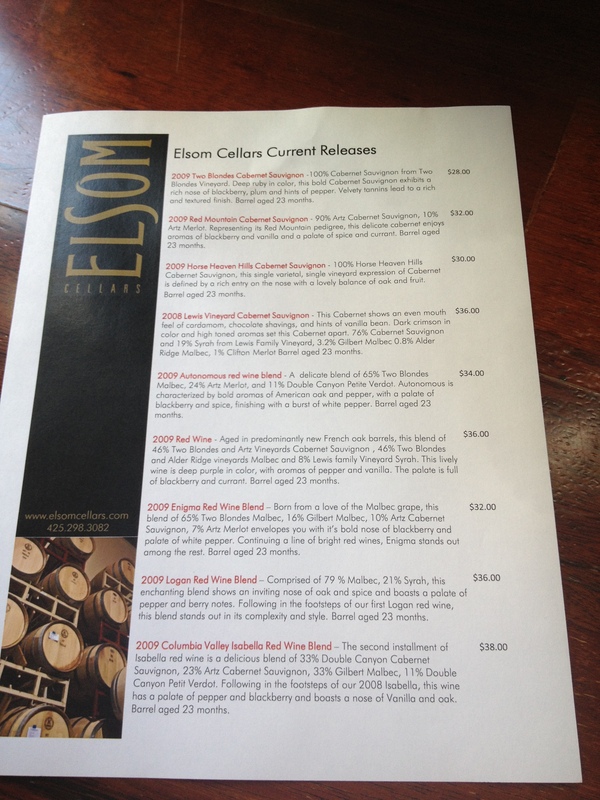 First stop, Eslom Cellars!!!! Everyone’s favorite that day was the 2009 Columbia Valley Isabella (red) and the Road to Hell (white). Red Wine Blend!!!! Be sure to ask for this one. 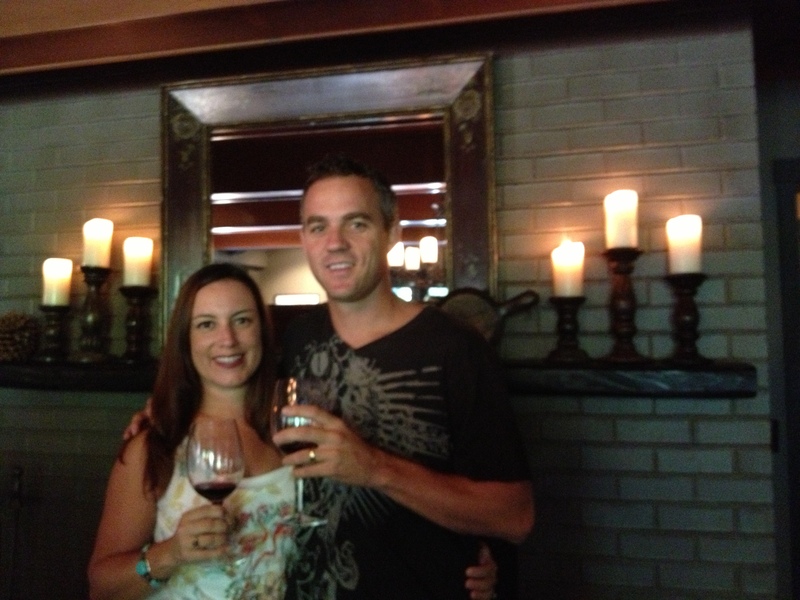 My husband’s second favorite was the 2009 Red Mountain Cabernet Sauvignon. The tastings at this winery were primarily reds. The staff was personable, knowledgable and fun!!! Be sure to ask for Erich! !He took us back to the barrels where we were able to sample directly from the barrel. 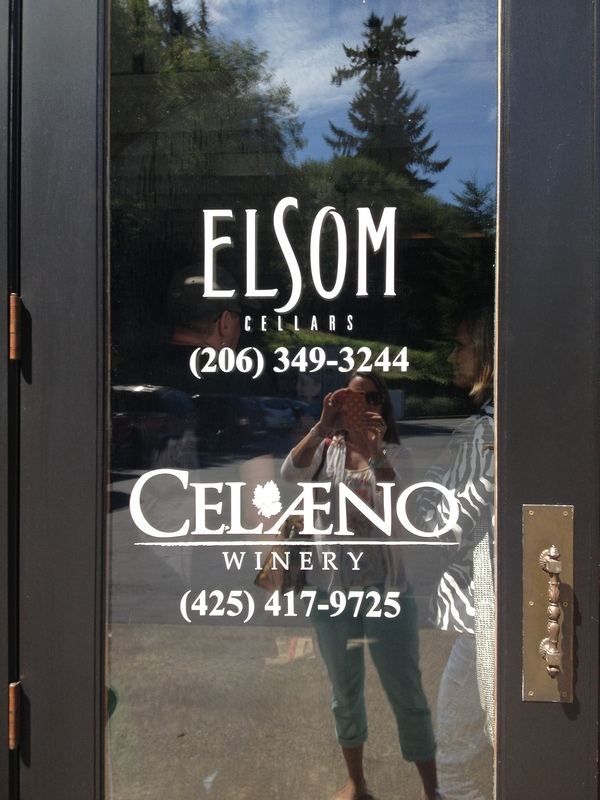 We were thrilled to be able to experience a tasting from an additional winery that day called Celaeno Winery. 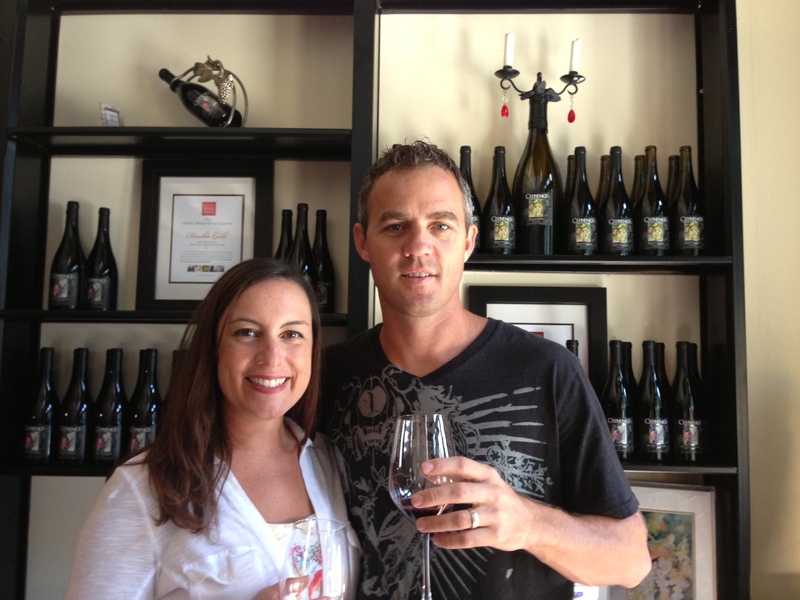 Brian was very accommodating and described the details of his amazing wine- Road to Hell. 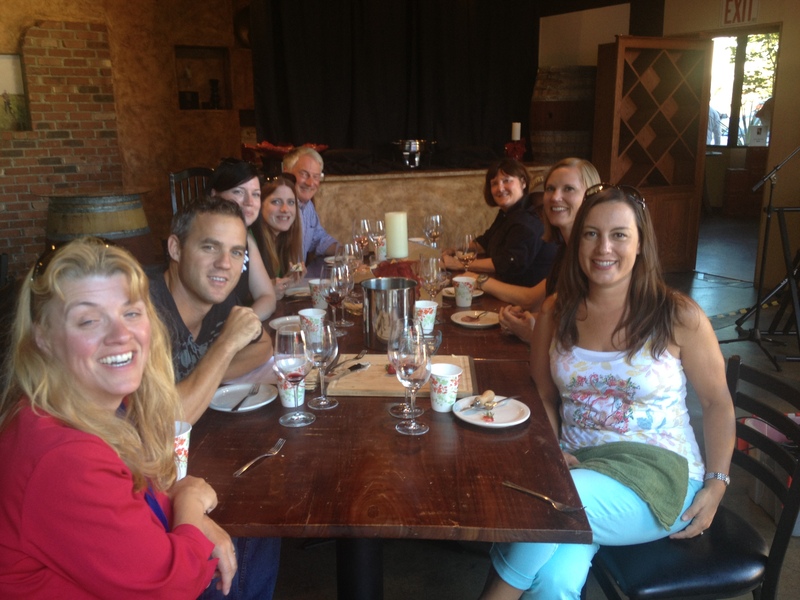 The benefits of wine tasting from two wineries all in one place!! As people who don’t typically drink white wine, we were blown away by the flavor and body of the white wine “Road to Hell”. Brian offered a taste of two different versions of his white wine. Both wines were the exact same grape and made at the exact same time. The difference in the two was that one was in an oak barrel and the other was in a stainless steel tank. We couldn’t believe the difference in the two. The wine from the stainless steel was a softer wine that left your palate immediately, while the “Road to Hell” had a bold flavor that lasted well after the taste. In addition, you were able to get a really good taste of the oak; it wasn’t overwhelmingly oaky, just perfect. The Road to Hell would be excellent with good chicken or seafood. We even asked the owner if we could have another glass – which he was nice enough to give. 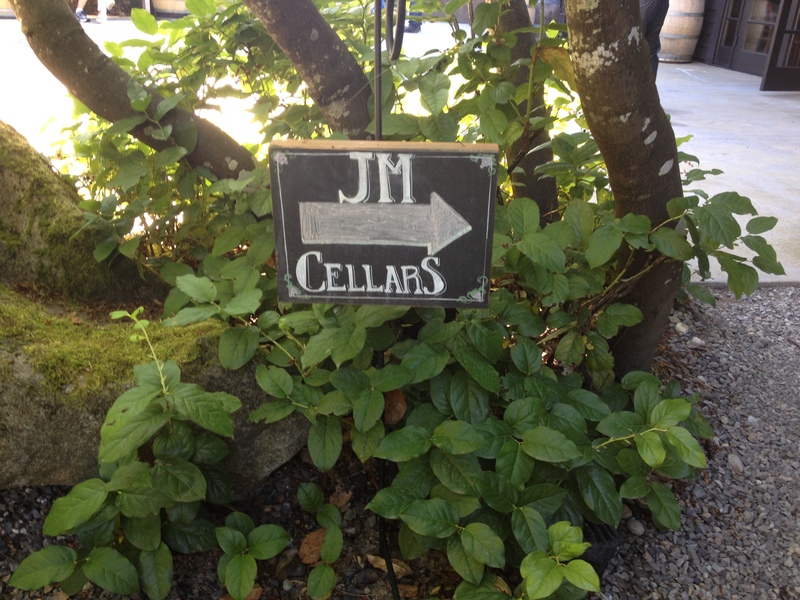 Our next stop was JM Cellars located up in the hills of Woodinville. nice lady standing behind waiting to pour our drinks. Before pouring though, she began telling us about the property, the owners and the wine. The introduction was very educational and had us all eager to try the wine. The ambiance and setting at this winery was quite inviting. After our second tasting of the wine, John the owner took us in the back of the winery to show the barrels and explain where the wine was made. 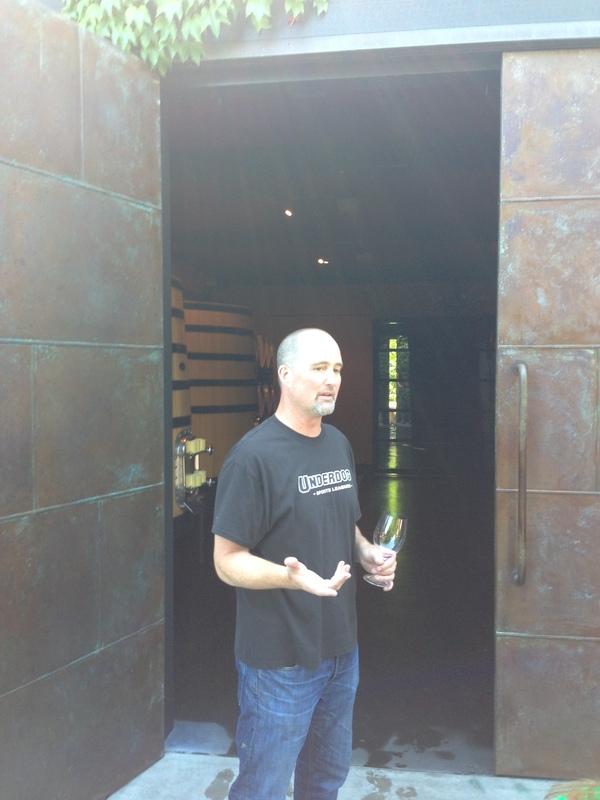 John took the time to explain their vineyards, the process, and THEIR style of making wine. Oh yeah, he also gave us two tastings of the wine right out of the barrel!!! 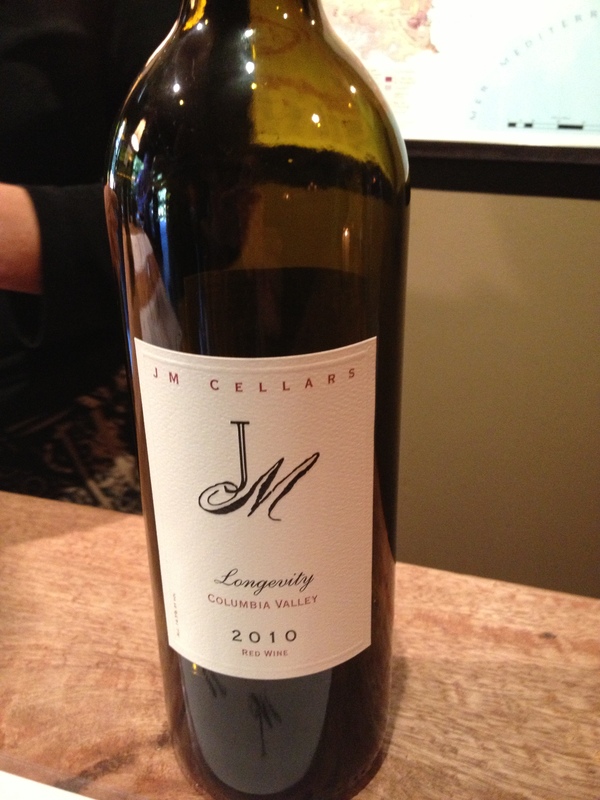 We learned more about the process of wine making in the 15 minutes in the back of JM than ever before. We learned about the different kinds of oak barrels and why they use the ones they do. After he was finished explaining, we went to the next room for tasting. 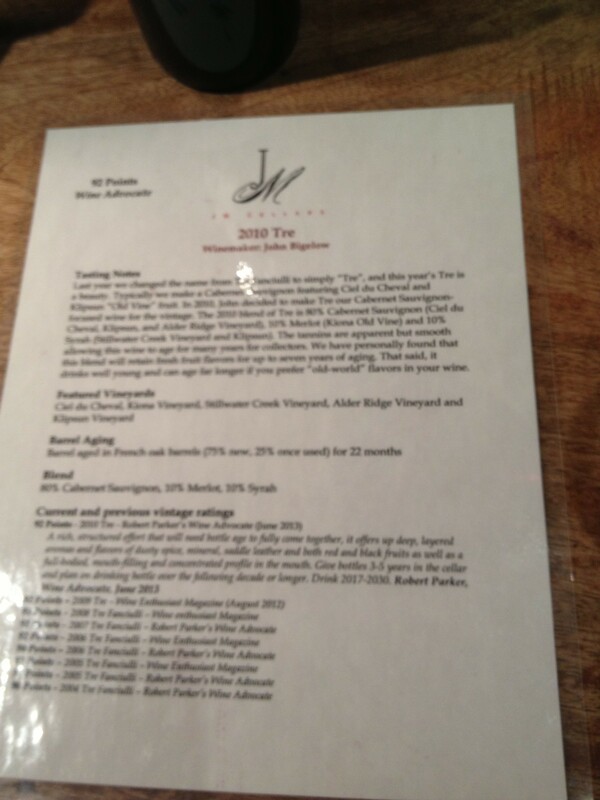 This is where we tasted our favorite JM wine the 2010 TRE, which is named after their three sons. The wine was amazing and something we wish we could have all of the time – for when we have company or just eating steak. This was a great wine! John mentioned monthly family dinners that are held at the winery. I contacted the winery to find out more information. Contact Brenda Butler at brenda@jmcellars.com if you have questions regarding the family dinners. Production of all our wines is limited and so too is availability. family has enjoyed making them. Kestrel wine tasting was located in a warehouse setting and was definitely the most commercial of the three wineries that day. 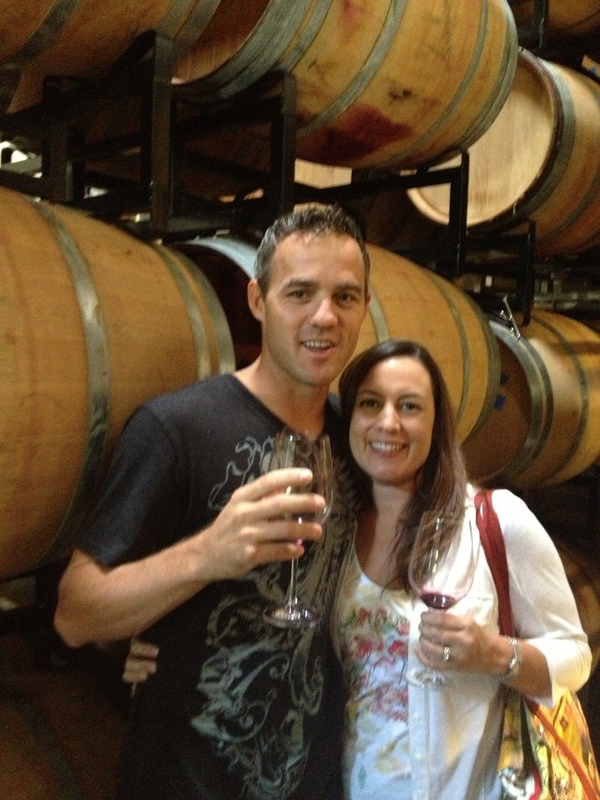 As the tour guide said, “The wineries in the warehouse industrial area are like the Disneyland of wine tasting”. The tastings were in a room with tables which seemed to cater to larger groups. A marketing woman stood up and presented each wine to the table and then moved on to other tables. She was very knowledgable, while sales focussed at the same time. The two other wineries seemed to be more informative as we got to drink directly from the various barrels. 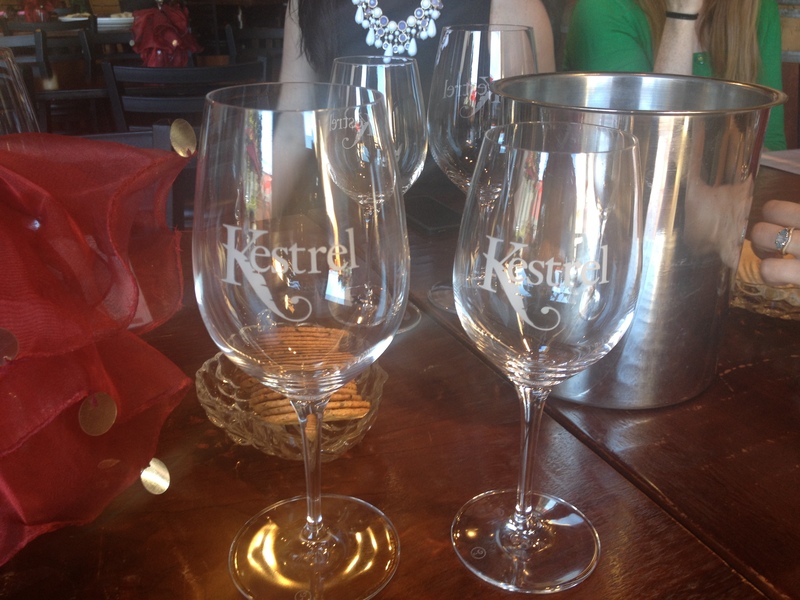 Kestrel would be a great place to go wine tasting with a large group, as it was not an intimate setting. To be honest, we were loving the meat and cheese tray at the time. This was the only winery that day which passed out an order form for their wine. Not sure we really cared for that. Our view about wine is – if we LOVE it than we will buy it, we don’t need an order form. We were thankful that they had complementary water and lemon aide as well as live music. $$ saving tips: Highly recommend booking a tour for several reasons. 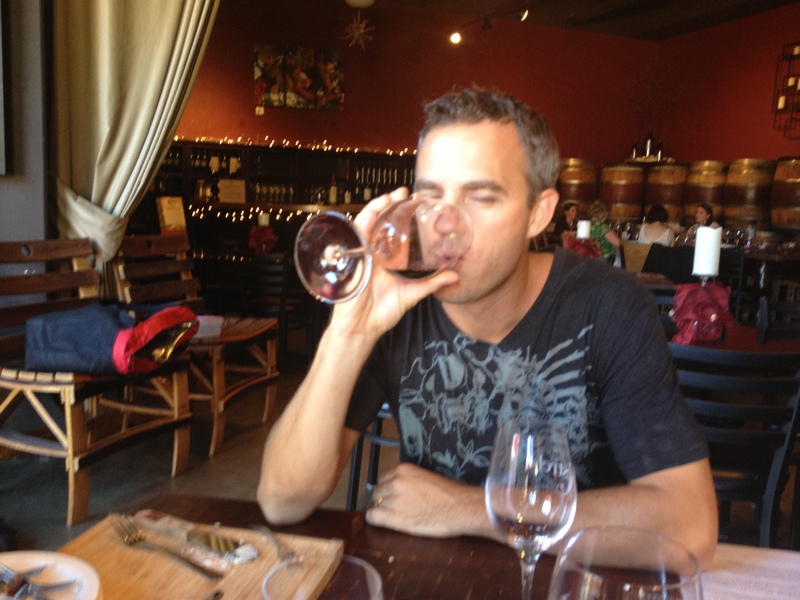 You can wine taste at numerous wineries and not worry about driving. Although the wine tastings were only about $10 per person, you will save money booking the tour because you wont have to rent a car, deal with GPS, hire a driver nor pay for gas. Also, the tour guides are so knowledgable and you don’t have to choose which wineries to visit when there are over 100 in Woodinville. The tour guides encourage feedback from the clients. We had an exceptional tour guide who kept us laughing while educating the group about each winery. Thank you Angie!!!! Bring snacks and bottled water. The guide will provide snacks at the last winery which is about 5 hours into the tour.